John W. Weeks Bridge and clock tower over Charles River in Harvard University campus. Harvard Business School will unveil its first venture into online education Friday, a three-course primer on business fundamentals aimed at undergraduate students enrolled at other institutions. The new program, called HBX, also marks the school’s maiden voyage below the graduate level. At its Allston campus it currently provides master’s- and doctorate-level courses, or executive education certificates, to about 2,000 students a year. HBX is inspired by popular online learning platforms, such as edX, which was launched two years ago by Harvard and the Massachusetts Institute of Technology. But unlike edX, the Harvard Business offering will not be a so-called MOOC — a massive open online course anyone with an Internet connection can join. Prospective students must apply for admission and must already be pursuing at least a four-year degree at another school. It’s also not free. 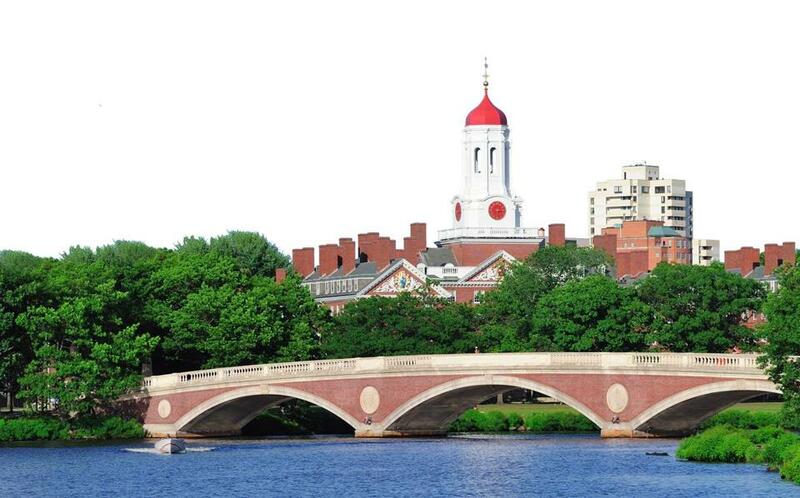 Tuition for the first term, which runs from June to August, is $1,500, and at first HBX will restrict enrollment to students from Massachusetts colleges. The school expects its first class will range from 500 to 1,000 students. The foundational classes are financial accounting, business analytics, and economics for managers. All courses will be taught in the case-based learning principles of classroom courses at Harvard Business School and be led by members of the current faculty, though teaching assistants will help with instruction and feedback. A final exam covering all three courses will conclude the term, but assessments will be based heavily on the level of mastery students display in online discussions. The grading system may resemble that of the business school, which divides students into four tiers of performance instead of assigning letter grades, but has not been finalized, said Bharat Anand, a professor of business administration who will serve as faculty director of HBX. Students should expect to spend about seven to 10 hours a week on the online school. The written instructions for online students will be supplemented by videos of real business leaders describing their challenges and how they work through them, as they do during guest appearances at the school itself. One video, for example, features Ace Ticket chief executive Jim Holzman talking about the difficulty of setting prices. For any sporting event or concert, the supply of tickets is clearly defined, but how can you know what the demand will be? Students can read lessons and watch videos at their own pace, responding to discussion prompts as they go, but must hit certain milestones to stay on track. For now HBX will offer successful graduates only a Credential of Readiness, as so far no other school has agreed to award students credits for any courses they complete through the Harvard online school. Still, that credential will come with a very valuable asset: the Harvard name. Subsequent terms will be open to students from around the United States. Class length and size could change, too, depending on how the first run goes. In the future, HBX plans to introduce courses on more specialized business subjects that may be open to working professionals, said Jana Pompadur Kierstead, the program’s executive director. At the outset, however, the goal is to expand the reach of Harvard Business School to an undergraduate population it has not served before. In focusing only on graduate-level instruction, the school felt it was missing both an educational and a revenue opportunity, Anand said. But students who think HBX will be an easy version of the Ivy League should be warned: They will be subject to the “cold call,” a Harvard Business School hallmark that puts them on the spot in front of their peers. In the classroom, a student may be called on at random and asked to deliver a summary of a case or a solution to a problem. Online, a student may see a dialogue box appear onscreen without warning, and have to type an immediate response to a question with only a couple of minutes on the clock.